Howard Long was recently granted Membership into the American Association of Premier DUI Attorneys after the Association confirmed that Howard has the skills, knowledge, training, tools, resources, and strategies that are needed to successfully resolve and win DUI cases. Howard Long is a partner and founding member of Browning & Long, PLLC. Howard focuses his practice on criminal defense with a strong emphasis on DWI defense. Howard fully understands the stress and intimidation one faces when charged with a crime. Howard realizes that in these trying situations one needs, more than anything, someone in their corner to answer questions, provide options and zealously fight for them. Howard is a trial lawyer with unique experience that is not afraid to stand up for your rights in court. Prior to founding Browning & Long, PLLC, Howard was an Assistant District Attorney in Mecklenburg County (Charlotte, NC) prosecuting thousands of misdemeanors and hundreds of felonies on the Misdemeanor Prosecution Team and the Drug Prosecution Team. As an Assistant District Attorney, He conducted bench trials and jury trials in both District and Superior Court. This unique experience and perspective mean that Howard can help you navigate the ins-and-outs of whatever issues you may face. Simply put, He knows the people, the places, and the processes, and can provide you with the best advice, guidance, and counsel every step of the way. In addition to being an Assistant District Attorney, Howard was an associate at a prominent Charlotte law firm where he advised clients on entity formation, management and structure and the acquisition, sale, development, leasing and financing of real estate. Howard received his bachelor’s degree in Finance from The Ohio State University and his Juris Doctorate degree from the University of Cincinnati College of Law. 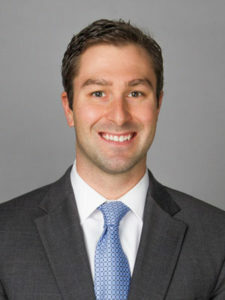 He was born and raised in Wheeling, WV and moved to Charlotte upon his graduation from Law School where he currently resides with his wife, daughter and their Goldendoodle Paisley.